Here then we will look at whether you should get a horse for your little girl, and how to go about choosing the horse that you want. 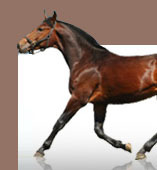 Finding horses for sale is easy enough – a quick search online will bring up lots of results and you would be surprised to find that some are quite affordable. The concern that most Father’s have when their little girls are tugging at their arm and begging is whether or not they can look after the horses and where they will go. If you intend to keep the horses on your own land then you will need a few things – a large patch of land of course, an open shed for them in the pasture (so they can get shelter) and a stable. If you have room for these things then you will be able to keep a horse on your own land and will just need to pay for feed, the upkeep of the horse (grooming, vet bills etc), hay and straw and anything else such as riding equipment and blankets.